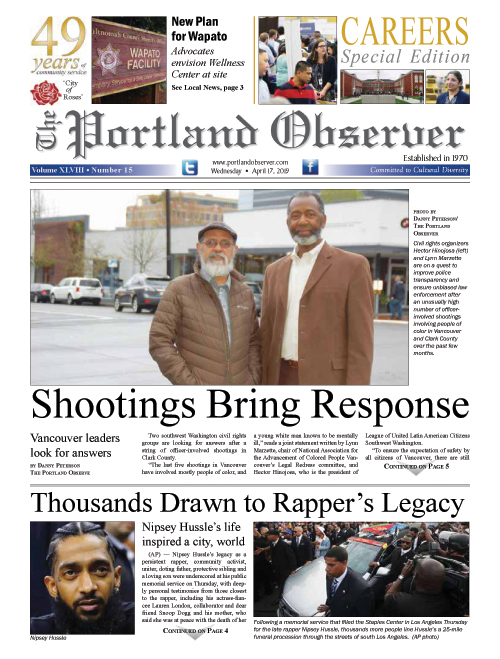 Jerry Murray of Portland died Jan. 17, 2018. He was born June, 4, 1946 in North Carolina to Hazel and Inetta Murray. Jerry earned the title of Mr. Oregon for two years, body building at the Matt Dishman Community Center. He worked for the ESCO Company for 35 years; and he also worked security for Safeway and Fred Meyer stores. He was preceded in death by his wife Betty in 2013; his parents; and brother Nicholas. He leaves to mourn his death a sister Barbara Barber (Ernest), a brother Steve (Rhonda), and a host of nieces, nephews and friends. Services will take place on Monday Feb. 26 at 10:30 a.m. at Maranatha Church, 4222 N.E. 12th Ave. Viewing will take place on Friday, Feb. 23 from 4 p.m. to 7 p.m. at Terry Family Funeral Home, 2337 N. Williams.